Amazon’s auction for a second headquarters is now over. The company received bids from 238 cities, and chose two locations–Northern Virginia and New York City—each to receive “HQ2/2,” along with announcing another, smaller facility in Nashville. It appears to many that Maryland lost out—even though it generously offered to spend more than $8.5 billion to attract to Montgomery County, a company valued at a $1 trillion and owned by the richest man in the world. Since Thanksgiving is near, that offer might bring to mind a Prime delivery from the state to Amazon of a huge turducken, financed by Maryland’s taxpayers, who would at best receive some leftovers after the company chowed down. It seems that New York did. When you outbid your competition, you are left wondering whether you spent far too much. Of the total $2.4 billion in economic development incentives offered by Virginia, New York, and Tennessee, New York will spend $1.5 billion, which is much more costly compared to the deal negotiated by Virginia. Additional evidence that New York went beyond what was necessary is Gov. Andrew Cuomo’s joke that he would change his legal name to Amazon Cuomo – following Stonecrest, Georgia’s offer to become Amazon, Georgia. 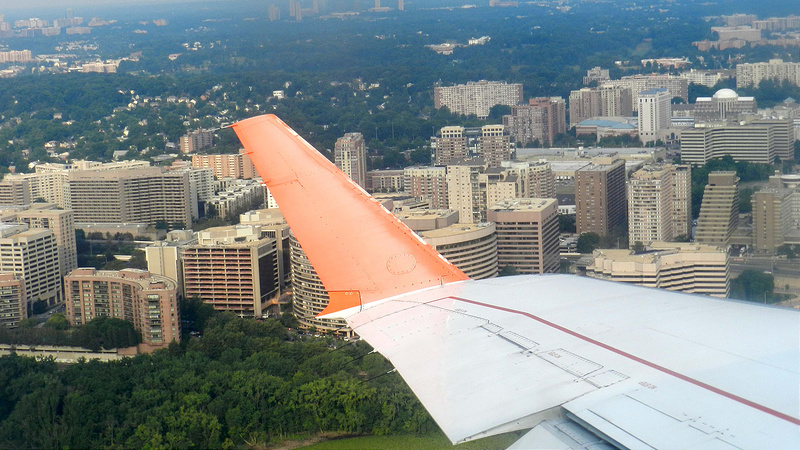 Northern Virginia’s choice seems also to have involved a company-preferred name change—from Crystal City to National Landing—but was mostly based on its strong pool of technology workers and close proximity to an airport. Montgomery County has the former advantage, but not the latter. The Baltimore area, which didn’t make the final cut for consideration, has both—but it lacks other features that company wanted, including an effective mass transit system. The good news is that Virginia’s HQ2/2 will benefit Maryland even though the state will not have to honor its huge offer to pay taxes for Amazon’s workers. This is because some of the spending generated by Amazon’s location in Virginia will “spillover” into Maryland. However, the state’s offer to Amazon is still indefensible, because its huge magnitude could have earned Maryland the winner’s curse, and because the state used a rushed and opaque process to make it, as we spelled out in a March article. When Maryland commissioned Sage Policy Group to estimate the impact of landing Amazon HQ2, we criticized how unrealistic assumptions and simplistic methods were used to generate a rosy projection. Instead, the state should have insisted on a more comprehensive economic analysis that fully accounted for spillover effects, and that considered how Amazon’s location could have increased housing gentrification, education costs, and traffic congestion. And it should have calculated how much lower Amazon’s tax rate would be compared to the tax rates of small businesses—some of whom are being put out of business by Amazon—who would not receive subsidies. In comparison to the state’s skimpy analysis, most research shows that economic development subsidies have positive effects in the short-run but questionable or negative effects in the long-run. 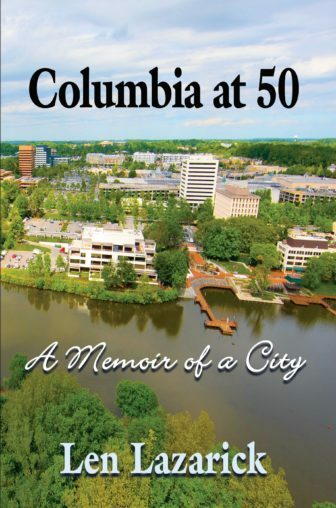 For example, the “new jobs” often go to transplants rather than residents who are publicly subsidizing the firm to locate in their community (Bartik, 1991). Maryland ignored these findings in the Amazon case, and political science research explains why this often happens. Politicians want to “claim credit” for firms that do choose to locate in a jurisdiction and “avoid blame” when these firms go elsewhere. Because governments that compete with one another over the location of businesses generally do not know what the others are going to offer, what often results is a bidding war. Jensen and Malesky, in their new book Incentives to Pander, argue that government officials can avoid blame and reduce their chances of losing elections by making overly generous offers. We think this is what happened in the Amazon case, and are worried that it could happen again. But that won’t happen if more Marylanders insist on changing the economic development menu. That will require better and more transparent analysis of proposed deals. In addition, the state needs a new process for comparing the returns from targeted business subsidies to the benefits from increased investments in human capital and physical infrastructure across the state. Amazon showed how important the latter approaches are by its insistence on an extensive mass transit system and a productive workforce. Finally, the state needs to think much harder about whether it should be accelerating development in areas of the state that are already well off, rather than targeting assistance to those areas that need it the most–such as in Baltimore’s depressed neighborhoods. The likely returns to effective methods of reducing crime, improving schools, and creating jobs in these areas may not be as shiny as a new Amazon headquarters, but they would certainly make the most disadvantaged people in this state thankful for the help. Eric Stokan is assistant professor of Political Science at UMBC and Roy Meyers is professor of Political Science and Public Policy at UMBC. A quick Google search of Crystal City shows some of the obvious advantages it had over Maryland’s proposal to Amazon. As the professors noted, it is right next to Reagan National Airport and it has two Metro lines. The Yellow Line has a quick and direct link to downtown D.C. which is just four miles away, not 12 miles from the urban core with a single troubled Red Line, as in the White Flint area. For that matter, Crystal City is already densely urban, but it turns out it has a lot of vacant office space. And Arlington County was once actually part of the District of Columbia for some 56 years before the land was given back to Virginia. Initially, it appeared that Virginia’s lower taxes and better regulatory climate may have helped sway Amazon — and maybe they did. The Tax Foundation rates Virginia’s business tax climate at 22nd in the nation. Maryland is 40th. But the decision to place the other half of the headquarters in Long Island City, Queens, New York, ranked 48th in business tax climate, undermines that argument. Long Island City, by the way, besides providing a highly urban environment that has been attracting Millenials, is 7 miles from LaGuardia airport, 13 miles from JFK airport, and a subway stop from Manhattan.